Thanks, I checked and I've finally seen a tiny movement on our line. Gained less than 10% upload speed (almost unnoticeable), but I'm very thankful for it. Download speed is basically the same as before. Am I reading your post correctly, that all upgrades are done and dusted ? 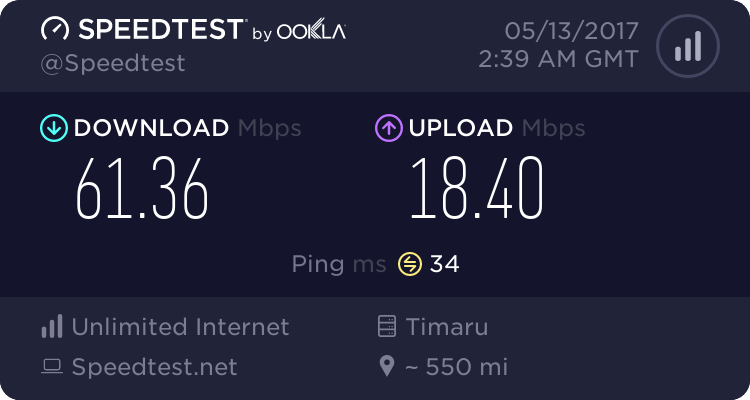 If so, would there be any reason why my VDSL hasnt changed profile - or was this only for certain areas/cabinets/exchanges/ ISPs ? Iknow your not with spark, pm me your address and ill pluck a few examples around you. Otherwise ask your rsp if you are on the ddDLM template. From there you will know. Cheers for that :) Will drop you a PM. Is there any way to see what profile you're on with a spark supplied HG630b modem. There doesn't seem to be any profile info in the DSL info section. I guess Im just too far away from cabinet to benefit. Your line attenuation is fairly high. As you have said, you are probably too far from the cabinet for ddDLM to be able to do much. In fact, you don't want ddDLM to aggressively increase your sync speed resulting in massive CRC errors which could then degrade your overall performance/experience despite the sync speed. Do give it a week or so to see what it can do. In my own case, the benefit of ddDLM is a notable increase on the up stream speed but little change to the down stream performance. Every line will be different though. I'm on rural ADSL with 4.7kms of phone line between my house and the cabinet. The downstream attainable rate increased 20% with the change to DLM. The modem stats below show: Before DLM --> After DLM. Yep, that's been my experience too on my adsl line. Honestly, adsl lines is where i saw the benefit. The fact that 17a changes were bought in with ddDLM has overshadowed that. My line was somehow one of the first to go over to ddDLM, only one on the cabinet and was not a request or hand in anyones pants but a record error.. It has been impressive to see how ddDLM has dealt with my two lines, one faulting twice in this period and causing issues. Attached a patch lead to a Phone jack plugged into router runing off a UPS I had with me in the car. Pretty sure touching the pillar is not allowed..
Bitswap will always turn on and off. Upload Attenuation will have been higher due to the point in reading it, generally for VDSL you ignore upstream Attenuation. Do you have sufficient battery and panel for the 12v for the 2 devices? remembering winter where you may not have much sun at all in a day.. This. It isn't your network to touch. At all. Their grey pillars are such a mess when I saw the one near me when it was being fixed _again_ that I doubt they would know. Unless you are stupid enough to broadcast it on forums. Oops.